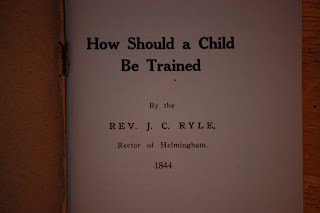 I just finished reading How Should a Child be Trained by J.C. Ryle in 1844. Unlike most modern child training books, this little booklet is very straightforward and it's timely instruction is applicable to both prospective and veteran parents. It stresses the eternal welfare of the child, as well as those habits which mold a child's character. It draws straight from the scriptures and teaches only what God has to say about child training and not one man's opinion. L.J.H. 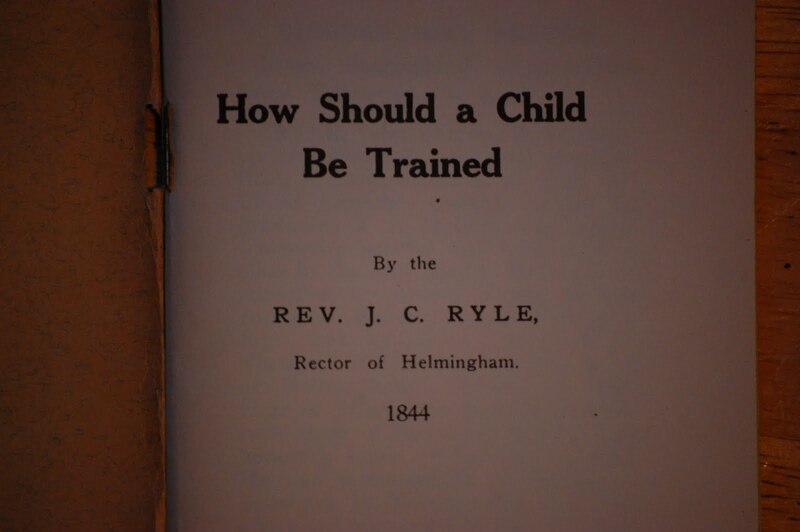 says "this tract with the character of the man behind it, is the strongest argument on child training I have ever read." I agree.